Africa loses massive financial resources, about USD 80 billion each year.And between 700 and 1000 Rwandan taxpayers are involved in illicit financial flows through the automated systems. This money is lost through illicit activities of multinational companies and rich individuals. But surprisingly, Rwanda does not know how much it loses in illicit financial flows. 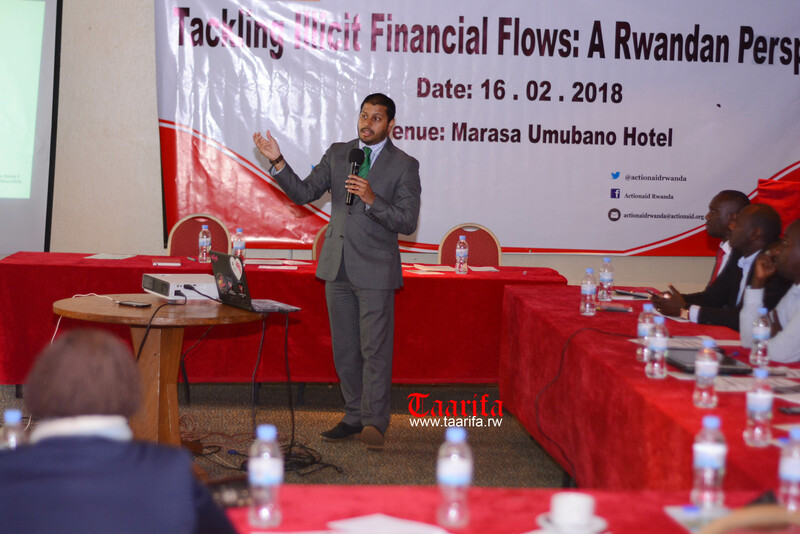 Governance for Africa and ActionAid Rwanda organised a one-day workshop on ending illicit financial flows in Rwanda, under the theme ‘Tackling Illicit Financial Flows: A Rwandan Perspective’. The workshop aimed at strengthening the linkage between public institutions, private sector and civil society organizations. When asked by audience how much money the country loses or has lost as a result of illegal financial flows, in either one case or in general, both the Rwanda Development Board and Rwanda Revenue Authority could not provide figures on the status of the issue. Africa loses massive financial resources, about USD 80 billion each year. Rwanda Revenue Authority’s deputy general commissioner Pascal Ruganintwari could not respond to the same question but cited the case of missing traders. “I do not have numbers here with me, but we have figures of the missing traders because it is also associated with illicit earnings of people opening up companies trading and selling illegal transactions with different customers in Rwanda,” Ruganintwari told Taarifa. He said he cannot be exact about the figures, between 700 and 1000 taxpayers were involved in this activity of missing trader through the automated systems but luckily, they managed to recover about between Rwf2billion and Rwf3 billion. Ruganintwari had said in fighting illicit financial flows, “Rwanda was also not left behind; through Rwanda Revenue Authority the fight against illicit financial flows is a daily battle which we hope to win at the end with the help from different partners. According to Robert Gisa, project development officer at Governance for Africa, Rwandans do not hear about illicit financial flows a lot. He requested the civil society to take the matter as theirs and deal with it. “We as civil society organisations need to find a way to take the matter of illicit financial flows forward and deal with it. We need to create a network to deal with it and address loopholes in legislation,” he said. James Butare head of programs and policies at ActionAid Rwanda, said that the amount of money that Africa loses in illicit financial transactions is a big loss for the continent. “We need to work together to end this illegal movement and everyone has role to play,” he said.